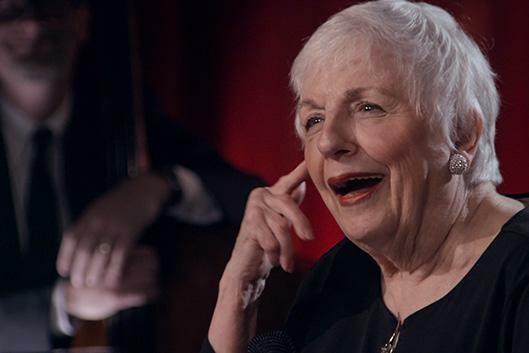 "If Carol Sloane isn't America's greatest living jazz singer, then no one deserves the title." Matt Schudel, The Washington Post. In 1958, Carol Sloane was offered a job singing with the famous Larry Elgart Orchestra. She toured with the band until 1961, when she was given the opportunity to sing at the Newport Jazz Festival. Carol recorded her first album for Columbia Records in 1961, and began a successful career appearing in the top jazz clubs in America. She made her New York debut opening for Oscar Peterson at the famed Village Vanguard. Carol's extensive discography attests to her long association with major recording labels in the U.S. Among the great musicians with whom she has recorded are Art Farmer, Kenny Barron, Phil Woods, Bill Charlap, Frank Wess, Kenny Burrell, Clark Terry, Bill Mays, Houston Person and Tommy Flanagan. She has appeared at Carnegie Hall, Alice Tully Hall, Avery Fisher Hall and Town Hall and The Kaplan Penthouse at Lincoln Center. She has toured Japan extensively as part of The Concord Jazz Festival and has appeared in Canada, the UK, Spain, Brazil, Portugal and The North Sea Jazz Festival in the Netherlands. Her New York jazz club engagements include The Village Vanguard and Dizzy's Club Coca-Cola, The Jazz Standard and Birdland. Carol Sloane currently resides near Boston. John Brown directs the Duke Jazz Ensemble. The Duke Djembe and Afro Cuban Ensembles are directed by Bradley Simmons.